Paternity Test: Who's the father? Welcome to Paternitytestinglabs.com, your guide to all the information about paternity tests and the most reliable DNA-testing laboratories. Is there a small doubt? A Home Paternity Test can provide a quick and reliable answer! How does it work? Does it hurt? Are the results reliable? Can you do a paternity test when the baby is not born yet? We offer you an overview of all the DNA paternity tests available and the results you can expect. We also compare the quality and pricing of many paternity testing labs, so we can help you in finding the right test and laboratory for you. When the tested father is the biological father of the child, a home paternity test can confirm kinship with a minimum probability of 99.99%. The paternity test has an accuracy of 100% for parentage exclusion: if the man tested is not the biological father of the child, the result of the DNA test will establish that the child has no chance of be from the presumed parent. There will be no possible doubt. 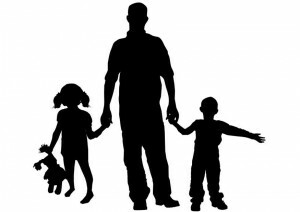 Click here to read all about the reliability of a home paternity test. Thanks to the testimonials we received from visitors and anonymous tests we conducted ourselves, we began to set up a blacklist of laboratories to avoid! The prices of a paternity test vary considerably from one laboratory to another and are depending on the type of analysis asked. Please make sure to check our price and quality comparison. Don't want to waste any time? Order a paternity test kit now, directly from our most trusted lab. This laboratory is 100% accredited, including ISO 17025. The paternity test kit can be shipped worldwide, gives results within 3-5 days and is available at only $119!